Write a series, they tell authors today. Wouldn’t you think that would have occurred to me before now? I read mysteries. I’ve always read mysteries. I don’t just read them, I devour them. Nero Wolfe, Campion, Poirot, Miss Marple, Dalgliesh. Stephanie Plum, Kinsey Millhone. You name ’em and they’ve had a place on my book shelf. And what do they all have in common, besides being mysteries? They are lead characters in mystery series! But in self defense, I didn’t begin this journey to be an author. Nope. I only wanted to write a book. It had been a lifelong dream of mine, and when I learned I could write one and publish it as an ebook with no expense to me, I was off and running. And I wrote one. And that little offering eventually brought me in a nice chunk of change. But then I floundered. True, I eventually decided to try to write another book. But the second novel didn’t have quite the same tone as the first one. Both books centered on what happened to women when murder intrudes into their lives, but their heroines weren’t quite cut of the same cloth. Both women were good people. Were sympathetic. But one was far more amusing than the other. And it was the funny gal who earned me the cash. So now, I’ve finally come down to where I should have been from the start. I’m writing a series. Mystery readers love them, right? They must or there wouldn’t be so many of them being written. And now, with one book nearly finished and two more in various stages of construction, I am very near to launching my babes. Who would believe it? I only wanted to prove to myself that I could write a novel. And now I’m building a series of books. It’s a funny world we live in today. Oh, and the books? 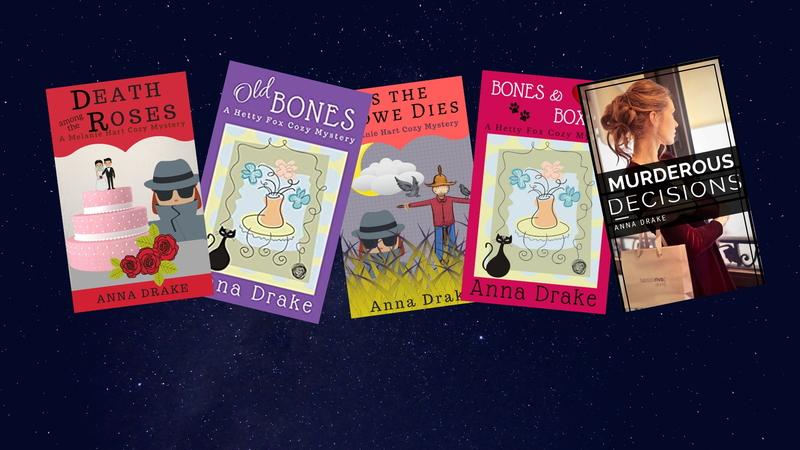 They’re light-hearted cozy mysteries, of course.